Heavy rain right up until just before the cermony started gave us some of the most striking light for portraits after the wedding. Here I placed the bride on a hill. 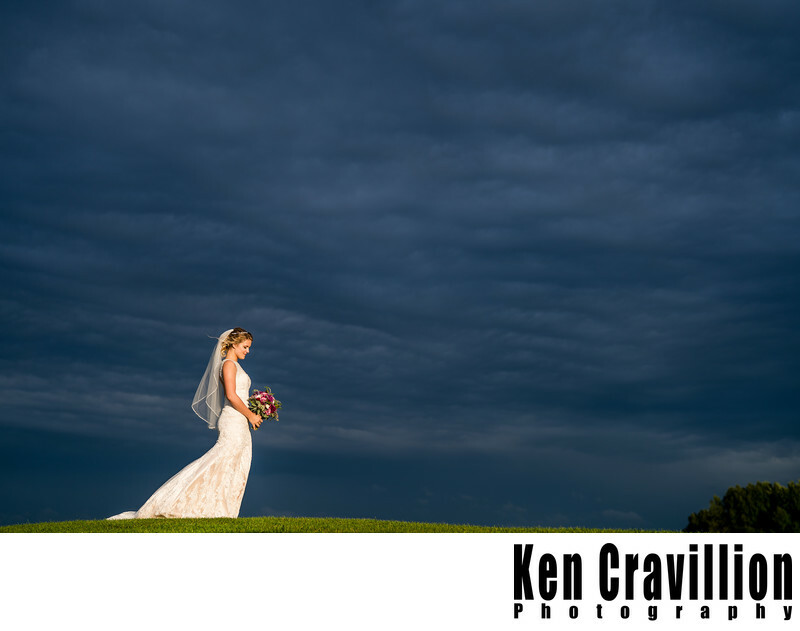 The dark rain and storm clouds highlight the bride lit by the evening sun. The wedding ceremony and photos were taken at Royal St. Patrick Golf Club in northeast Wisconsin. 1/1600; f/2.0; ISO 64; 50.0 mm.